In 1977, Michael and Keith Royle were living in the Bahamas and working as commercial divers, when Mike was offered an opportunity to work as a dive instructor for Windjammer Cruises on its 310′ sailship S/V Flying Cloud based in the British Virgin Islands. Mike accepted the offer and one year later acquired the diving concession aboard the ship. He asked Keith to join him and together they taught hundreds of passengers to dive. In the process they gained tremendous experience and knowledge of the local waters and islands. Life aboard the Flying Cloud was an adventure that introduced many future residents to the BVI, including Mike’s wife Cheryl whom he met while she was a passenger. Mike and Cheryl now have a teenage daughter, Aja, who was born on the main island of Tortola and who will soon become certified. 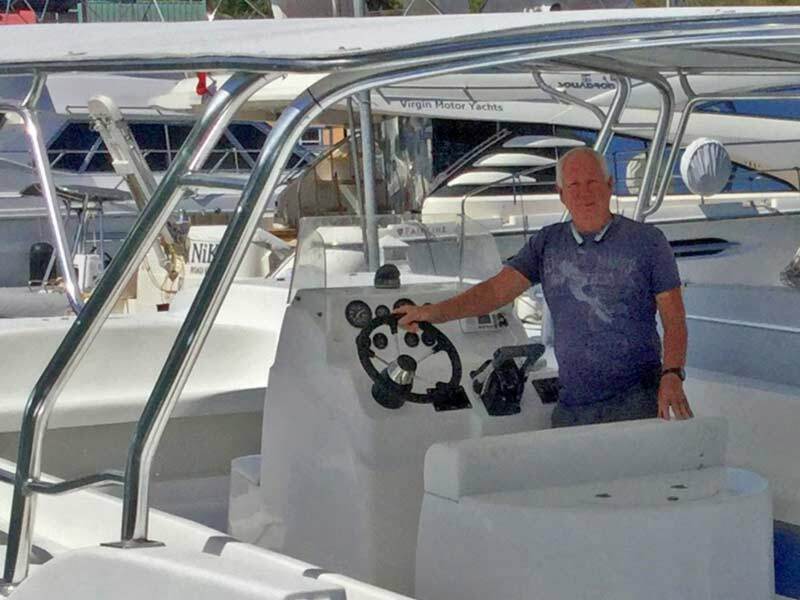 In 1980 Mike and Keith began looking for an ideal location on Tortola to open a dive center and found the perfect spot in the friendly village atmosphere of Nanny Cay Marina. Nanny Cay’s central location overlooking the Sir Francis Drake channel positions it within easy reach of many of the most popular dive sites. 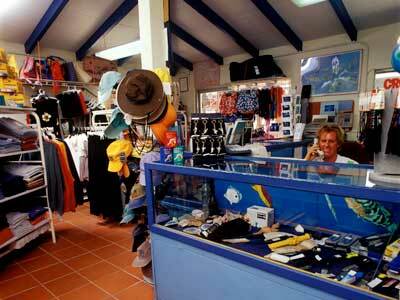 During the latter part of 1980, Blue Water Divers officially opened its doors for business with a staff of three – Michael, who had been given the nickname of “Muffy”, Keith, and his then girlfriend Becky Lee. Mike and Keith handled all the diving and Becky ran the shop, handled the paperwork and kept the troops entertained. Mike and Keith’s parents (Jean and Eric) had also relocated to the BVI and helped out a great deal when they weren’t busy running their own bar and restaurant in Road Town. 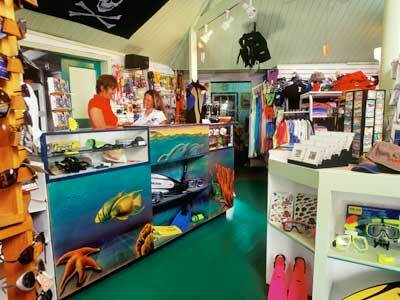 It is from these early days that Blue Water Divers earned its reputation as the friendly, relaxed dive shop. By 1986 Blue Water Divers had grown enough to warrant a custom-built dive boat, and they took the chance on a small company out of Ft. Meyers, Florida to build a 47′ catamaran, which Blue Water Divers named Cat B’lue. Not only was Cat B’lue the first dive catamaran in the BVI, it was originally designed to run on jet drives, which made the passage down from Florida a real adventure for the motley crew that made the trip. The jet drives have given way to traditional engines, but otherwise Cat B’lue remains the perfect dive boat. This same year a good friend and captain of the Flying Cloud – Andrew Clayton (known as “Kim”) – did his Dive Master course with Blue Water Divers and started helping out with dive tours. Eventually he decided to leave the rigors of sea life and move to shore, where he joined Blue Water Divers and has remained with them ever since. Blue Water Divers continued running dive tours and certification courses to local residents and visiting yachtsmen. And as Nanny Cay grew they also catered to its hotel guests and worked closely with the charter boat companies at the marina and elsewhere. Over the years, the company gradually increased its number of staff and dive boats but still focused on offering a relaxed yet professional approach to diving. A second shop was eventually opened in Hodges Creek Marina, but in November 2001 this shop was relocated to the more active Sopers Hole Marina at West End, which is home to numerous shops and restaurants and hosts a number of charter boat companies. 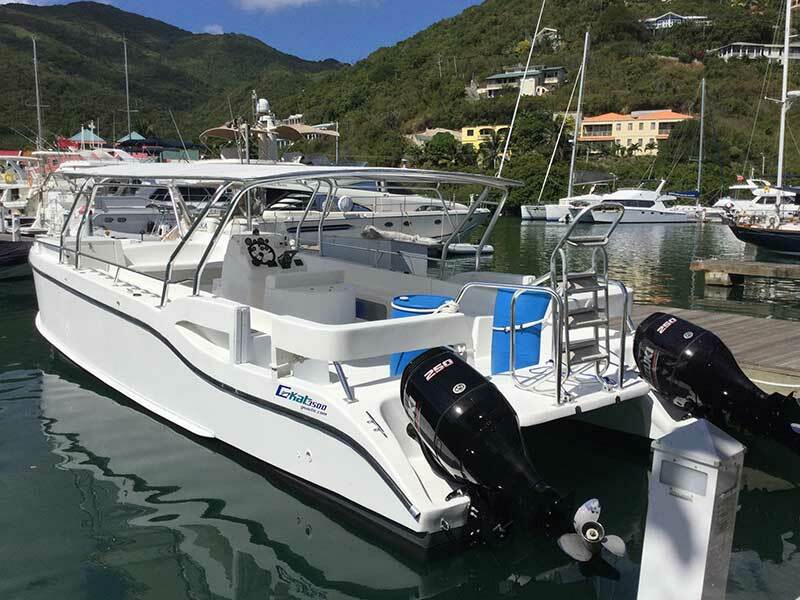 Today Blue Water Divers has locations at Nanny Cay Marina and Sopers Hole Marina and operates four dive boats – Cat B’lue, a 47′ catamaran, Blue Runner, a 40′ monohull, Delta Blue, a 31′ monohull, and Aja Blue, a 24′ rib. The staff now includes seven instructors and Blue Water Divers is certified as a PADI Training Facility and a PADI International Resort. The company is also an SSI and Universal Referral Center, and is a dealer for Dacor, Sherwood, Cressi Sub and other quality equipment.